Premu.com was featured in the cool website about hot new startups, called Killer Startups. "I love good deals. I just don’t have the patience to find them. Like me, the founders of Premu were dissatisfied with existing online sites designed for the bargain hunter. Too many of the wrong deals to sift through, too much fine print to scrutinize. Premu works with a Facebook account, allowing users to find a wide variety of online coupons. 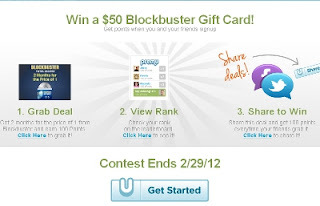 Share deals with family or friends and you’ll also have the chance to win contests and sweepstakes." If you're like us, when you find a great deal, like the one from Amazon Local today $5 for $10 spent at Amazon, you love sharing that deal with friends. So do we! Deal sharing has been made great because of all the great deals you can find on the web on sites including Groupon, Living Social, and also Target Daily Deals and other merchants. Each day, there are new great offers that will save you money on the things you need. That is our goal, to save money on the items that you would need to buy and make buying online easier to do. As we pull feeds of thousands of deals each day, simply browse your favorite categories or search using our deal search feed to find that deal that will save you money! Coupons just got a little more social with Premu as sharing with friends and the rest of our community is our goal. We hope you join the site and enjoy all the great deals in one easy and fun place! 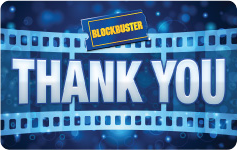 Congratulations to Renea from Gainsville, Florida for winning the Blockbuster Contest and a $50 Blockbuster Gift Card on Premu. Thank you to all the participants for helping to create a great first contest on Premu! Visit Premu.com to request an invite if you'd like to join our next free contest! In the past, we used to grab the sunday paper and hit the coupon page to cut out the latest coupons for the week. We strived to find the best food and grocery coupons and were open to receiving coupons in the mail from companies like Valpak, Redplum, and others. As times are changing, these tried and true methods of getting great coupons are still around and used by millions to find deals and discounts on their local stores, services, & restaurants. Local Daily deal sites surely gave people a new way to get great deals as the discounts that daily deal sites like Groupon, Living Social, Plum District, and others were new coupons and discounts that have never been seen before. By participating in a membership for these sites, you're emailed with these great local deals every day as stores in the thousands strive to get more customers and Daily Deal sites provided them with the distribution on their price cuts, sales, and offers. With smart phones and apps, the future of coupons is surely shifting to mobile. Heading to the local Target, Walmart, or Sears and browsing through the store, you should have access to the latest coupon that you have on the web right there and then when your shopping in the store. While some sites provide these services, we're not quite there yet. In a few years, you may even be able to take a picture of a product from your phone and do a search to find if there any coupons on that product that you can apply at the store. Coupons have been around for hundreds of years and the introduction of smart phones, tablets, it will change the coupon industry forever in favor of the consumer. With the recession of 2008, people continue to look for savings and the trend hasn't ended in 2012. So stay with us as the industry evolves and mobile coupons continue to grow.